After more than twenty-two years after Squaresoft famously made the decision to abandon Nintendo and host the mainline Final Fantasy titles on the PlayStation, Final Fantasy VII has finally landed on a Nintendo console (and the Xbox too for that matter). Despite being a little rough to play and look at in the modern day, Final Fantasy VII is still an excellent must-play RPG, with simple yet engaging turn-based gameplay, and an excellent posse of characters that buoy what is a heavily gripping and emotional narrative. Final Fantasy VII quickly places you in the shoes of an arrogant merc known as Cloud Strife, as he and a group of eco-terrorists known as AVALANCHE (not an acronym?) carry out their plan to destroy one of the eight Mako reactors in Midgar run by the Shinra company. Shinra is a devious organisation that is draining the Mako energy from the planet Gaia, leading to environmental disasters. From the get go, there is a lot going on, but over time it becomes simpler to understand. Cloud and AVALANCHE succeed in their attempt to blow up a Mako reactor, which in turn gives Shinra no choice but to fire back. They devise a way to attack AVALANCHE, destroying their base and killing numerous innocent civilians of the slums beneath Midgar. From here, Cloud, his AVALANCHE allies Tifa, Barret and a sweet flower girl called Aeris (known commonly as Aerith) embark on a journey to take down Shinra. 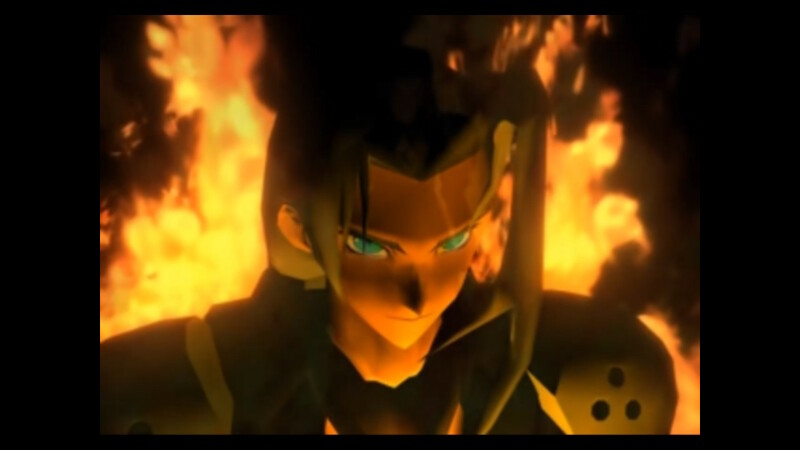 And eventually tangle with the broody super soldier with a past Sephiroth, the real antagonist of this narrative epic. The story on display in Final Fantasy VII is downright amazing, with the personality of characters and emotional scenes emphasised through what is one of the best soundtracks in gaming. Final Fantasy VII’s soundtrack is probably one the most beautiful scores my ears have ever had the pleasure of hearing. Whether it be the peaceful nature of Aerith’s theme or the epic rock music of the main battle theme, the soundtrack seemingly effortlessly churns out banger after banger. Don’t even get me started on how badass Sephiroth’s theme is. Final Fantasy VII’s soundtrack is brilliant, perfectly managing to emphasise whatever the narrative is at the time, while also always making battles an epic encounter. Storytelling through in-game combat is also a clever approach that Final Fantasy VII employs. For example, when Cloud recounts his time fighting alongside Sephiroth, you get to play some battles alongside him, and his stats make Cloud look like an utter weakling in comparison. Every fight you take part in together sees Cloud fall to 0hp immediately, as Sephiroth casually deals insane amounts of damage while taking hardly any damage. It’s from this moment it becomes perfectly clear that Sephiroth is insanely powerful, and that he isn’t one to be trifled with. While in-game combat scenarios like these provide story on their own, 99% of the narrative is presented through character dialogue. Each character feels superbly well written, with enough characterisation to the point where each character feels like they play a key role in the narrative. Final Fantasy VII’s narrative also isn’t one to shy away from unexpected twists and turns. I won’t spoil anything here for obvious reasons, although almost everyone that’s seen anything about Final Fantasy VII on the internet will know one of the infamous scenes I’m referring to. Final Fantasy VII’s narrative in my opinion is its greatest asset, as the world is spectacularly brought to life by excellent writing and characters that ooze personality. I say that the story of Final Fantasy VII is the best thing about it, but that doesn’t mean the gameplay is rough by any means. Final Fantasy VII from a gameplay perspective is a turn-based RPG, and if you’ve ever played an RPG, you know exactly what to expect. You make your way through the world of Gaia, taking down foes that get in your way, all while levelling up and unlocking new abilities. The combat is your stock standard turn-based combat, which despite being simple, leads to plenty of enjoyable altercations. You have to wait in between attacks for your ‘Time’ gauge to fill in order to attack again, yet somehow battles still feel like they go at a decent pace, and better yet, I never felt like battles overstayed their welcome. What’s also great is that the special attacks known as Limit Breaks which become available once a character has received numerous attacks from enemies, seem to occur rather often, which is great, as the epic damaging attacks they provide are always appreciated. 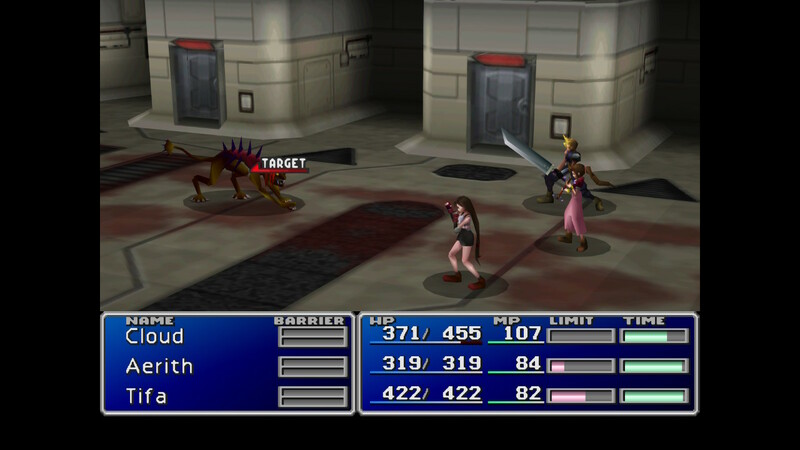 Final Fantasy VII’s combat is simple yet sweet, and couples well with the materia system in providing players a way to strategise. The materia system allows you to craft the movesets of each party member however you like. The materia system is simple on the surface, but it can get quickly get deep if you are interested in picking ideal character builds to suit your preferred playstyle, or to best fit the scenario at hand. The fact that you can completely change the composition of how a character plays to suit a battle is awesome, and the fact that it isn’t essential means that the mechanics won’t be daunting to those not wanting to be overly intricate. When you aren’t trading blows in combat or traipsing around the world of Gaia, there are a bunch of mini-games at your disposal if you feel the need for a change of pace. 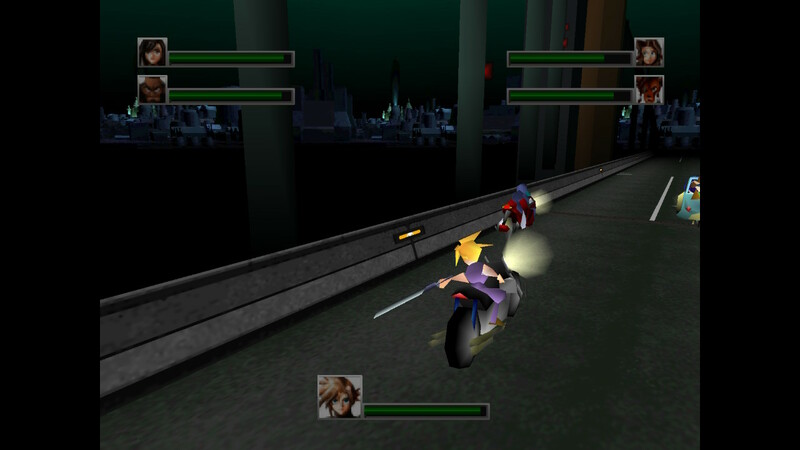 Some are optional but some are baked into the story, such as the motorcycle chase that sees you playing as Cloud on a motorbike trying to fight off Shinra soldiers. The minigames overall are silly fun, but progressing through the core game is what you should really be doing. I loved my time with Final Fantasy VII, however I did come across a few issues. Firstly, the game graphically hasn’t stood up. 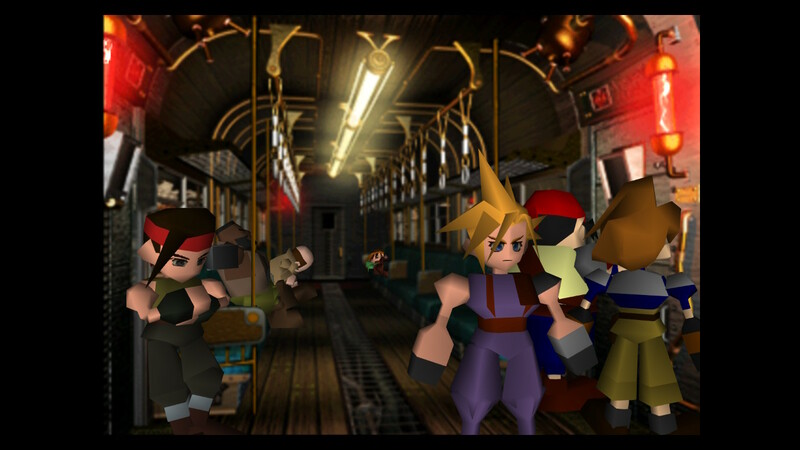 The polygonal era of the PlayStation and N64 never tends to age well, and Final Fantasy VII is proof of that. Character models exude charm with their early 3D era style, but they fail to hold up anywhere near as well as the character designs of Final Fantasy IX. This is undoubtedly nitpicky, and I do still love the graphics for what they are, but it’s worth mentioning. The backgrounds can also be a bit jarring and confusing to navigate if you haven’t played the game before, as it can often be hard to read the depth of the background, leading to trial and error when trying to progress throughout the environment. Lastly, I couldn’t help but feel that the game was overall quite easy. I’m relatively new to the Final Fantasy franchise, having only played Final Fantasy IX and Final Fantasy XV prior to Final Fantasy VII. IX is easy to compare to VII because they featured on the same console and shared many of the same gameplay concepts, and from comparing them both, it’s quite obvious that Final Fantasy VII is an easier game. While it may not be easy for everyone, the difficulty of Final Fantasy VII left much to be desired. Final Fantasy VII may show its age, but it still rightly deserves its place as being one of the most seminal RPGs in gaming. If you haven’t played a Final Fantasy game before, Final Fantasy VII may be an ideal place to start, as its easy to grasp turn-based combat and materia system lack the sometimes overwhelming and daunting intricacies of subsequent titles in the franchise. On top of the easy to approach gameplay is an epic story that you’d be hard pressed to not enjoy, with a likeable cast of characters and a thoroughly interesting villain. At the end of the day, Final Fantasy VII is an excellent game, and I can’t help but recommend it.